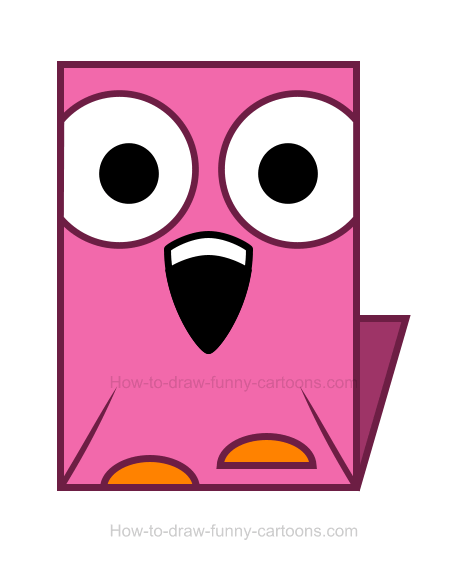 In this simple lesson, learn how to sketch a fun flamingo clipart just like the one found below. 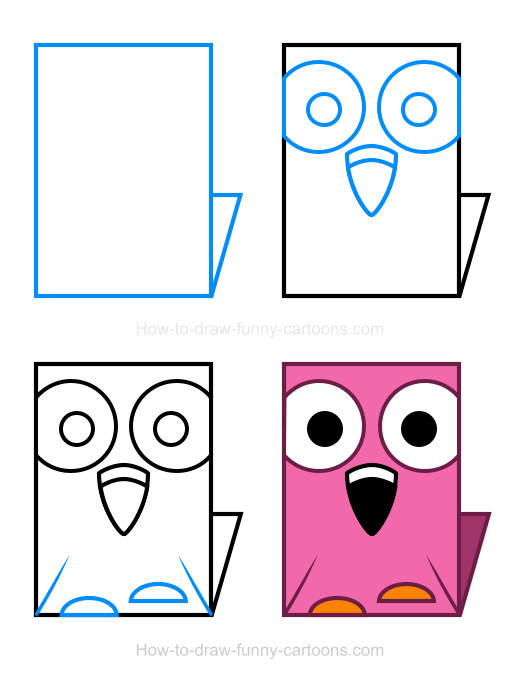 Instead of working on a side version (which is easier if you want to create a recognizable animal), I will show you how to create a front view of a flamingo using mostly basic shapes and elements. 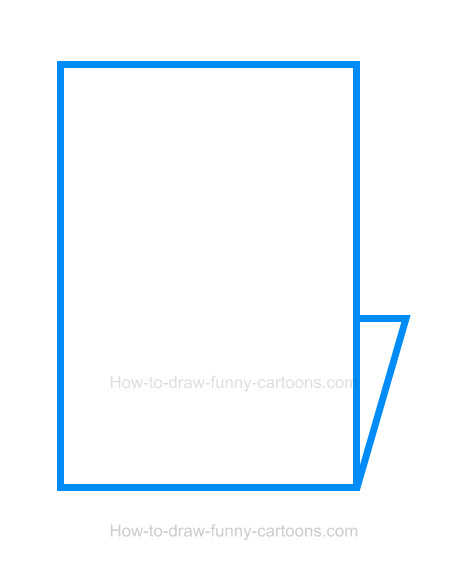 Let's start by sketching a large rectangle made from a thick outline. This shape will be used to illustrate both the body and the head. When you are done, you can add a tail using a small triangle shape on the bottom of the rectangle as shown in the illustration below. Next, draw the eyes using large circular shapes. Unlike similar characters from this series, you can draw these circles near the top of the rectangle. Then, you can add pupils inside the eyes using once again small circles. 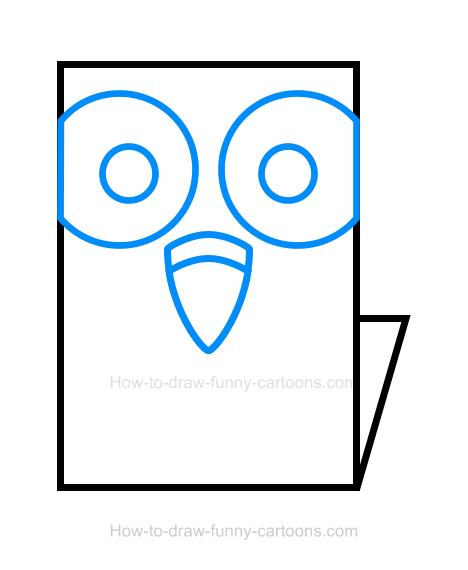 Finally, the beak can be illustrated with a long triangle made from curved lines. Inside the beak, a small line can also be added to separate both colors (but we will work on colors later). Fantastic! 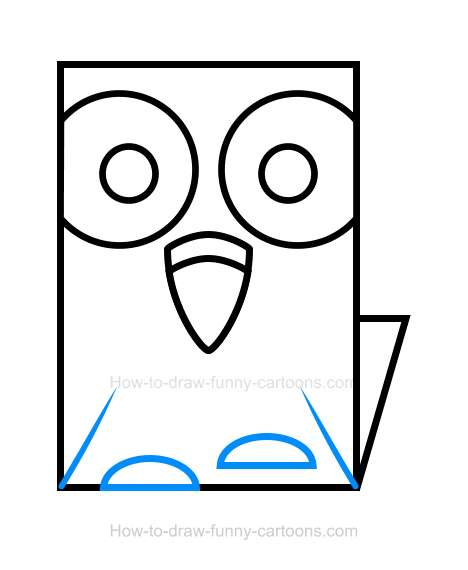 You can represent both wings with simple pointed lines that are placed on the bottom of the rectangle. Both lines are located on both corners and are drawn with an angle (not quite 45 degrees). You can complete this step by adding both legs using curved lines. One of them can be higher to illustrate the fact that the flamingo is standing on one leg.